The college recruiting process is a lot of work for not only athletes and parents, but for college coaches as well. There are many high school athletes that want to play at the next level and only so many spots available on college rosters. Colleges are constantly bombarded with emails from athletes, parents, and recruiting services vying for their attention. This causes increased noise and distraction from their ultimate goal: finding athletes who are interested in their programs and match their needs. College coaches typically don’t have any issues finding athletes. However, finding the RIGHT athletes can be tricky. On FieldLevel, colleges are introduced to athletes by their coaches. As high school and club coaches connect and develop relationships with college coaches, they learn what type of student-athletes college programs are looking for. 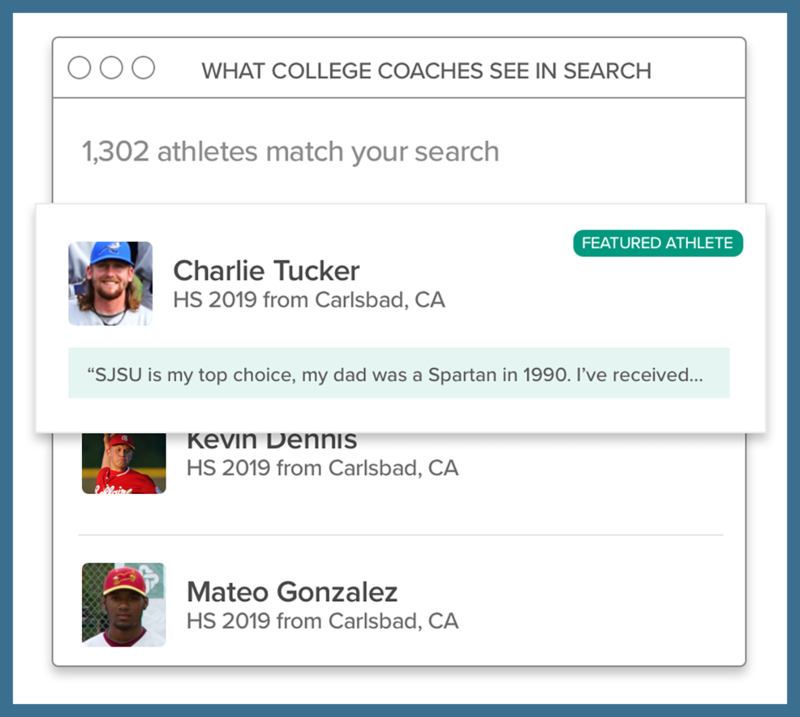 This allows colleges to discover the right athletes by receiving recommendations from their connections. But how do athletes help themselves stand out from other recruits, get the attention of schools, and communicate their interest to college coaches? Athletes can now write Letters of Interest to colleges to introduce themselves and articulate why they want to play for those programs. Letters of Interest can be written directly to colleges who are both following their profiles and to the top schools they’re targeting. When a Letter of Interest is written to a college, the coaching staff at that program are notified. Additionally, athletes who write Letters of Interest to colleges will appear higher in search results. Does this athlete meet our needs athletically + academically? Does this athlete want to play for our program? Does this athlete want to attend our school? Have we crosschecked this athlete with his/her coaches? Now, athletes can continue the conversation with college coaches and discover the best opportunities at the next level. To start writing Letters of Interest to colleges, click here: Start Writing Letters of Interest.